Did you always think you felt a bit strange in the morning? 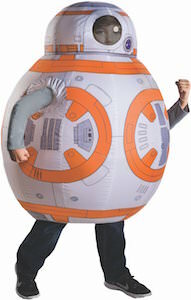 Maybe it is time to start wearing this bath robe and then things will fall into place. 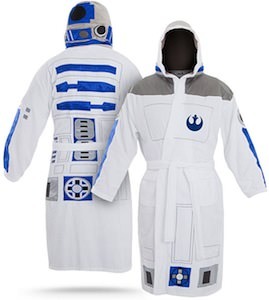 If you feel like things are just moving like slow and in an automate pace in the morning then you are probably still in your R2-D2 mode and that would be even better if you do that part of the day in a Star Wars R2-D2 bath robe. The bath robe has everything on it what you can expect from this robot and if you didn’t tell me then I would believe that you are this amazing robot. So if you need a special gift or just something for yourself this bath robe could be perfect.